Low slope roofs are also referred to as flat roofs. These roofs are usually found in industrial and commercial properties such as warehouses, hotels, and factories. Commercial low slope roofing installation is not an easy task. There are thousands of commercial low slope roofing configurations to choose from. It’s important to select a well-trained team to handle the installation. Searching for the right commercial contractor for commercial low slope roofing in the Orting, WA area? Hire Johnson Exteriors. We have successfully completed more than 5000 roofing projects. We provide quality commercial low slope roofing in Orting and the surrounding area for commercial single-ply roofing installation services to our customers. Also known as 1-ply roofs or membrane roofs, single-ply roofing is a non-asphalt system that is made of flexible membranes that are uniformly laid across the length of roof decks. A covering is used on top which intended to provide superior durability and protection against the weather. 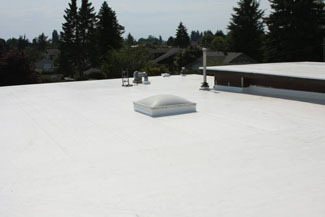 But you must have competent roofing contractors to install your commercial single-ply roofing in the Orting area. When it comes to commercial single-ply roofing count on our expert crew. We have a skilled and experienced team who provide professional commercial single-ply roofing installation services. Providing excellent customer service and quality installation to our customers is our utmost objective and duty. Choose a reliable company who provides professional single-ply roofing system installation in the Orting area. Installing these lightweight roofs demand professional know-how. With experience and knowledge, our professional team always delivers services on time. For single-ply roofing systems, get in touch with our experienced team. We believe in offering quality services to our customers. It does not matter whether it is commercial property or residential, we know how to handle the toughest task. For a good roofing system, we recommend investing in a single-ply roofing installation. For skilled workmanship that meets your budget, give us a call. Why choose professional roof contractors? 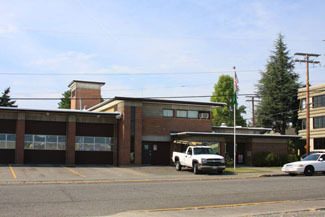 Looking for commercial low slope roofing installation services around the Orting region? 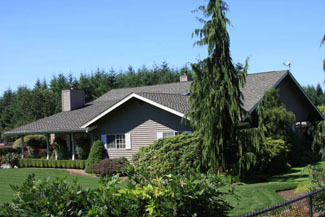 Call Johnson Exteriors at (360) 226-2521. We also provide commercial single-ply roofing and single-ply roofing systems.